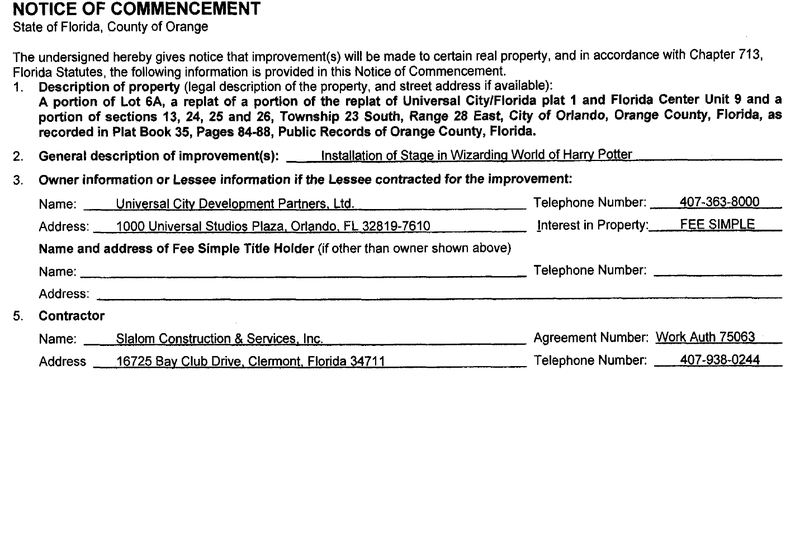 Today, Universal Orlando submitted a notice of commencement for a new stage to be built at the Wizarding World of Harry Potter, which can be seen below. One can assume that this will be installed where the Frog Choir and Triwizard Tournament show take place in order to give spectators a better view of said shows. Or, could it be a temporary stage for a new announcement? 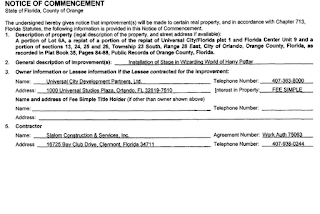 If it's for the former, it's great to see Universal to continue to plus the land. Stay tuned to @Parkscope for more details.